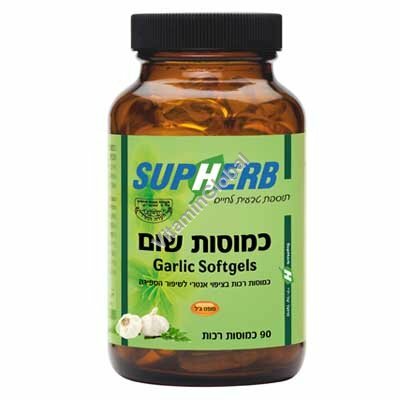 According to recommendations of the World Health Organization, it is recommended to consume 2-5 grams of fresh garlic a day to obtain therapeutic efficacy. This dose is the equivalent of 0.5-1.4 mg of garlic oil. Indications and usage: One capsule a day with meal. Inter-drug effects: It is recommended that people taking coumadin consult with their physician before consuming this product. Kosher under the Rabbinical supervision of Badatz Haeda Hacharedit.